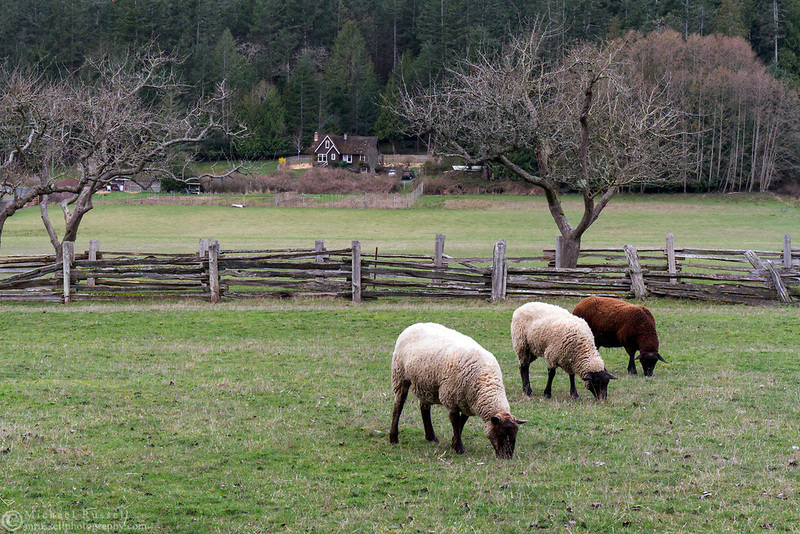 Sheep grazing in the spring at Ruckle Farm. Photographed in Ruckle Provincial Park on Salt Spring Island, British Columbia, Canada. The farmhouse in the background was built by William Norman Ruckle in the 1930’s.